Manager of Organizing and Workforce Development. We are Trades NL: Building Trades of Newfoundland and Labrador. Our organization represents 16 craft unions in the construction sector, totaling approximately 20,000 workers throughout the province. We are proud to provide highly trained, diverse, safe and highly productive working tradespersons to the NL Building and Construction industries, by fostering pride and professionalism in the trades through training for lifelong career opportunities. 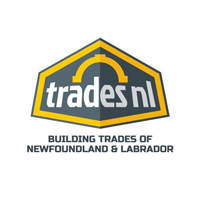 Trades NL is seeking their inaugural Manager of Organizing and Workforce Development. This dynamic individual will lead the development and implementation of stakeholder relations and engagement strategies. The Manager of Organizing and Workforce Development will promote the benefits of working with Trades NL, collaborate, establish and maintain positive relationships with government, industry, Indigenous groups, community and public stakeholders and explore opportunities to collaborate with related organizations. Reporting to and providing strategic advice to the Executive Director, the Manager will develop and deliver engagement plans and strategies to support the organization’s business goals. The Manager will also develop innovative services and programs to address the needs and add value to the workforce through training while creating a strategy to address opportunities to expand the presence of unions represented by the Trades NL. As the ideal candidate, you have successful leadership experience and demonstrated capabilities developing and maintaining strong relationships with a variety of government, industry, partner and public stakeholders. You have acted as a strategic advisor to an organization and are skilled at managing sensitive communication and confidential projects. You possess superior verbal and written communications skills with the ability to engage diverse interests, including Indigenous cultures, to build positive relationships. You are a self-directed and collaborative individual with strong consultation, negotiation, conflict management and problem-solving skills. You have a demonstrated ability to develop and execute strategies and tactics to effectively influence government decision-makers. You are a team-oriented individual and bring an innovative, entrepreneurial spirit to your work. You can work closely with the Executive Director, staff and the 16-member unions in a fast-paced environment. Experience in the unionized construction industry would be considered a strong asset, as would a university degree in business or a relevant field. As part of the Trades NL team, you will contribute to the ongoing success of organized construction in Newfoundland and Labrador - one with a solid track record of world-class work on construction projects, an exceptionally well-trained workforce, a focus on safety and tremendous future potential. For more information about this exciting, permanent, full-time opportunity, please contact Beverley Evans or Parvathy Nair at 1-866-822-6022 or please apply online by clicking “Apply Now” on the button below. Knightsbridge Robertson Surrette is Atlantic Canada’s leading human capital consulting firm with over 40 years of experience in recruitment, career transition and human resource consulting.